There is an active discussion on GM Electric Vehicle Owners on Facebook about this topic and I wanted to share some opinions from the members. Each paragraph is a separate option. I see ads for the Honda Clarity and the Nissan Leaf ads on TV all the time. I see zero ads for the Volt or Chevy Bolt, except this Chevy Bolt ad that has been playing on TV last winter. Last year in September I also noticed this Chevy Bolt EV ad, but it is in Spanish language. It's probably geared toward the Spanish language EV buyers. Compared to the Honda Clarity which is being advertised on every cable channel I watch, GM just is not trying at all. Here is how the 2018 Honda Clarity PHEV exceeds performance and comfort expectations. May be it's because some say that EVs are less profitable? See my experience and conversation with a Chevy dealership's salesman when I was test driving the Chevy Bolt with him. Let's say EVs are less profitable. I think it's only because of scale, but Chevy is supposedly ramping up production of Bolts to meet increasing demand. Do EV Ads Mean More Sales? Some say just because there are ads doesn’t necessarily mean more Chevy Bolt sales. "I think people who are interested in an electric vehicle will seek out information and educate themselves ahead of a purchase. Also there are more like myself who’ve cut the cable and don’t see any ads on commercial television," writes Len Imbery in the group. "The way I see it, Volt was ahead of it's time during the release. Now that the concept has come of age, Chevy needs to get on board. Honda is acting like the concept is new and fresh. Now is the time for GM to tell the buyers they are the leader. We own 2 Volts. People still tell me they have never heard of them," says Elvis Barksdale, whose family owns two Chevy Volts. Some GM Volt and Bolt owners in the group blame the marketing strategy of GM, calling it "poor." They even say it's the poor marketing that doomed the Cadillac ELR. This through review of the 2014 Cadillac ELR shows 125mpg, EV Freedom and Premium Luxury from a Proven Automaker. Yet, the car was doomed. "Poor marketing helped to doom the ELR, considered by many owners to be one of Cadillac’s cars best ever," writes Lance Withers. It included the poor price point. It was priced in the same range as a Tesla Model S, whereas the Model S has a bigger battery, better performance, fast charging, and wasn’t just a glorified two-door Volt in an angular body. Please share your thoughts and opinions in the comments section below. 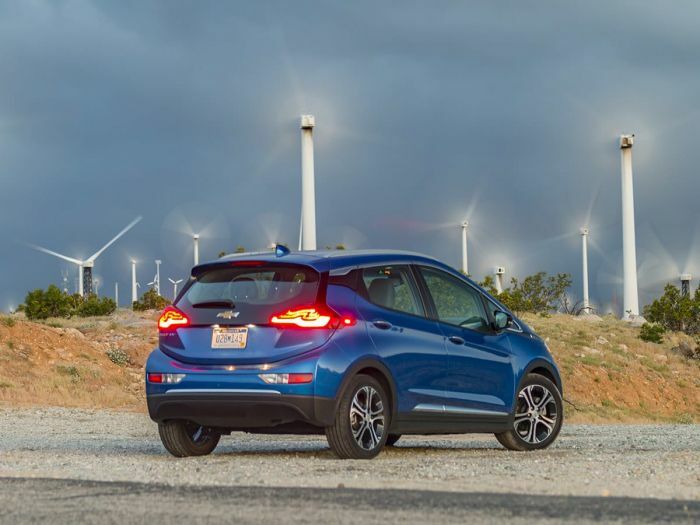 Do you think more Chevy Bolt ads would increase the Bolt sales and popularity among electric car buyers? One big reason is GM already sells more plugins than any other North American manufacturer except for Tesla whom they are very close in numbers. You should probably check your sources. Tesla is indeed a “North American” auto manufacturer, and they have sold 300,000 cars. All cars produced by Tesla are Electric Vehicles (EV). Nissan is a Japanese auto manufacturer, with a factory in Tennessee, that has produced over 300,000 of the Nissan LEAF. The Nissan LEAF is indeed an EV. GM hasn’t sold as many EVs as Mitsubishi or Peugeot. There are a bunch of Chinese manufacturers who have produced more EVs than GM. GM does it for compliance purposes, they stopped selling the lower price point sparkEV the moment the Bolt came out. Their dealers hate them because once the car is sold, there is little need for a person to ever bring it back. They lose all of the maintenance income which.. If you own a ICE Chevy, you are in for quite a bit. Ridiculously inaccurate. GM loses $9,000 on every Bolt they sell.Any fool can understand why they aren't pushing the cars - batteries are still too expensive. Tesla is selling a lot of non-existent base Model 3 cars and will NEVER produce them in other than legally required numbers to avoid lawsuits. Musk even stupidly let it be known that selling $35,000 base Model 3 cars would brnaakrupt his company. The base Model 3 is Tesla's "compliance car."